On most occasions when I travel from Auckland to Coromandel, I use the main highways (SH1 + SH2). But today, I decided to take the alternative scenic route. 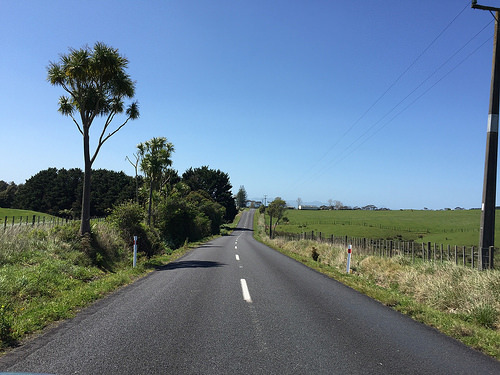 This is the very same route I cycled on my arrival to New Zealand nearly 30 years ago. I’m pleased to say, not a lot has changed and it was a very nostalgic trip back in time! You’ll be greatly relieved to get off the main highway at the Auckland Botanical Gardens (near Manukau). From here on you’re in the ‘real New Zealand’ folks! Your worries will melt away as you pass green rolling hill country. The paddocks contain sheep they way it was so many years ago now. 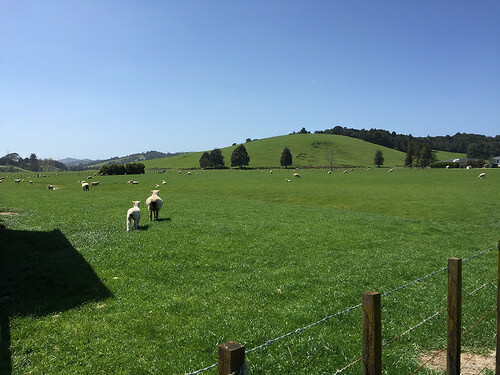 If you’re travelling in Spring, stop briefly by the side of the road and enjoy the sight of cute lambs frolicking around. Hard to believe all this tranquility is just a mere 20 min from the hustle and bustle of Auckland Airport! And hey, this photo tells the true story. Even after biking this route so many years ago, the roads are still empty! Now if you want to get from A to B as quick as you can, highways come in very handy. 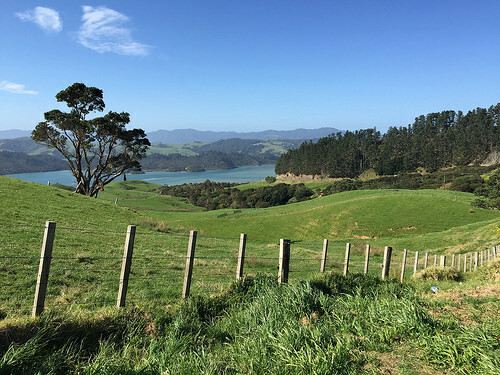 But if you’re travelling a beautiful country like New Zealand during your vacation, go off those highways and see the real heartland New Zealand. By the way, be sure to visit that cute little mussel & oyster shop. 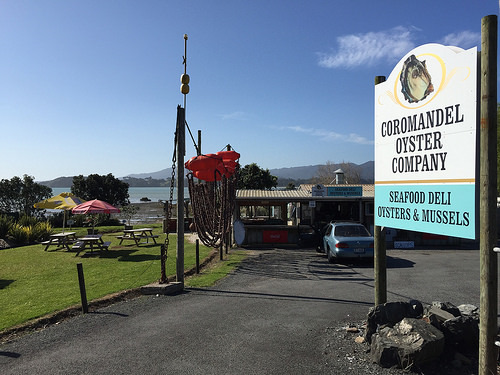 They promise the “freshest” mussel and oysters in the whole of the Coromandel! The alternative route between Auckland and the Coromandel only takes an extra 45 minutes and it’s far more interesting. Its a great way of starting your New Zealand vacation. 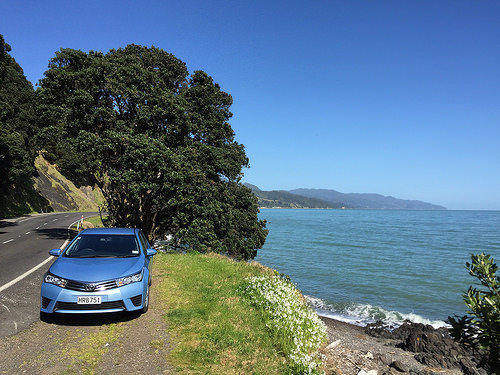 Do stop at these wonderful lookout points on the Coromandel Peninsula. I guarantee you’ll be wowed by the scenery. Also, you can travel the Coromandel in New Zealand winter season.